The Expediter is your top-performing productivity partner, getting you where you’re going quickly and safely. Its narrow design, tight turning radius and best-in-class capacity rating enables you to transport passengers and payload through tight spots and right up to the job site. 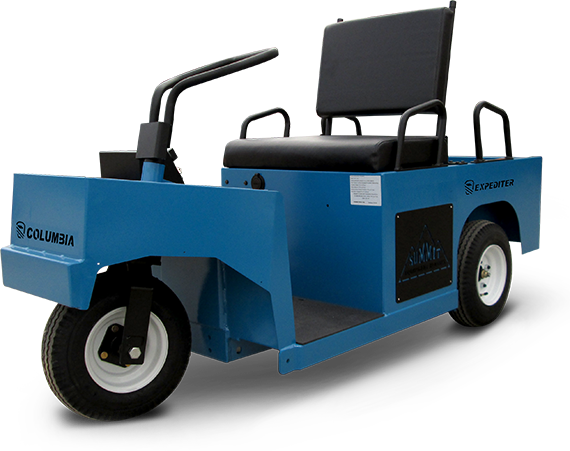 The standard fold down seat back converts the Expediter into a two-person transport, making it a versatile solution capable of pulling double duty at your facility. Available options and custom services allow us to match just the right Expediter to your specific requirements. Schedule a local demonstration using the form below or contact our team to learn more about the Expediter.